An engraving from 1813 by John Thomson. 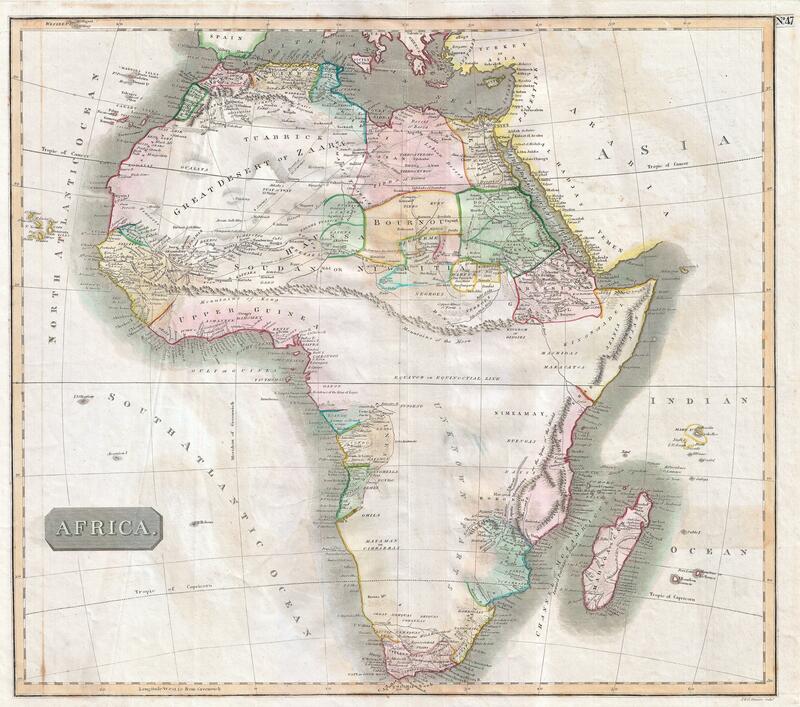 Note the immense difference in detail between the Cape Colony at the southern tip and the mostly unknown interior, where Ptolemy’s “Mountains of the Moon” are still depicted. Source: Geographicus.